This muscular and powerful wine is still brooding, but shows a very concentrated palate with some wonderful chocolate notes. 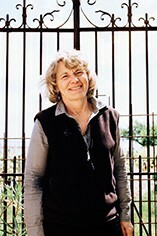 Ghislaine Barthod harvested her small crop, 35% to 40% down on 2009, from 24th September over 5 days. She feels that the wines are riper than 2002, our suggestion for a comparable vintage. We tasted on a day shrouded in mist when everything seemed dank and dour, so it is more than likely that Ghislaines wines will turn out more lively and fragrant than reported below, when the structure appeared to dominate. 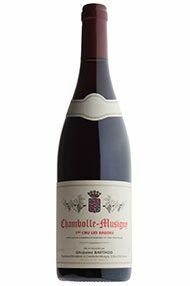 The Wine Advocate - The 2010 Chambolle-Musigny Les Baudes shows the more masculine, virile side of Chambolle in its dark fruit, menthol and spices. Deep layers of fruit continue to unfold as the wine sits in the glass, all supported by firm yet well-integrated tannins. A long, impeccable finish rounds out this stellar Chambolle. In 2010 the Baudes is flat-out great. Baudes lies just below Bonnes-Mares and a certain similarity to the wines from that great side is evident in the structural profile. 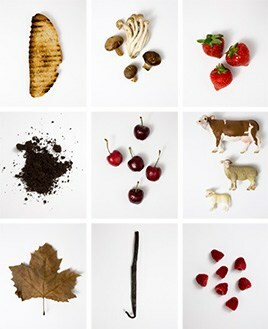 Anticipated maturity: 2020-2030.